About the photo: My grandfather, George A. Dreves, Sr., was a confectioner, having owned and operated ice cream and candy stores in Brooklyn and Queens, NY during the period from 1911–1937. 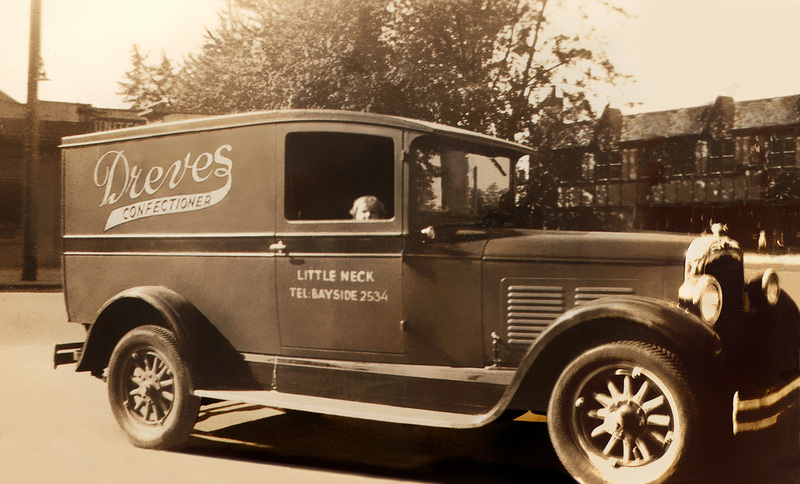 This was the delivery truck for his Little Neck store on Northern Boulevard, ca. 1927. His daughter, Dorothy Emma Dreves, is in the cab.